[Bug] Server can't be port forwarded. Discussion in 'Groups & Dedicated Servers' started by Paradox55, Nov 24, 2018. Space Engineers generates random ports making it impossible to port forward. 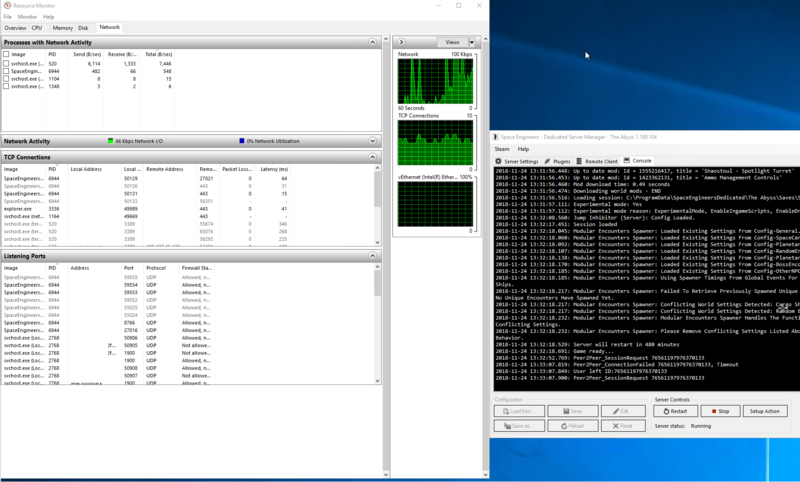 With 8766 and 27016 UDP port forwarded every time someone tries to connect Space Engineers tries opening random 50000 ports for connections and when that fails the session times out.